This entry was posted in Articles & Breaking News, Eugenocide/Population Control, Government experimentation on the public, Liberty & Freedom Room, Propaganda Room and tagged Busted, florida on February 26, 2018 by Editor. Blue Cross, Blue Shield, Blue Care Network of Michigan publishes online a shameless and bold report of how much cash they reward physicians for performing certain tests, and which apparently acts as an incentive to over-prescribe, thus inflating the costs of U.S. healthcare, which should be illegal. If MDs meet a target of 63% of eligible member patients, they will receive a payout of $400 per completed eligible member. Wow! Now you know one of the key reasons why parents are hounded to vaccinate their infants and toddlers. This entry was posted in Pregnancy and birth, Propaganda Room, Vaccine Injection Room on August 15, 2017 by Editor. This entry was posted in Propaganda Room and tagged Arthur Caplan, Paul Offit on June 6, 2017 by Editor. (4) When a representation or sales practice is targeted to a specific audience, such as children, the Commission will determine the effect on a reasonable member of that group. (5) Thus, advertisements directed to children are considered from the standpoint of an ordinary child. Communicate all information relevant to the product’s indication (including limitations to use) in consumer-friendly language. CARU’s Self-Regulatory Guidelines are deliberately subjective, going beyond the issues of truthfulness and accuracy to take into account the uniquely impressionable and vulnerable child audience. Advertisers have special responsibilities when advertising to children or collecting data from children online. They should take into account the limited knowledge, experience, sophistication and maturity of the audience to which the message is directed. They should recognize that younger children have a limited capacity to evaluate the credibility of information, may not understand the persuasive intent of advertising, and may not even understand that they are being subject to advertising. Advertising should be neither deceptive nor unfair, as these terms are applied under the Federal Trade Commission Act, to the children to whom it is directed. Advertisers should have adequate substantiation for objective advertising claims, as those claims are reasonably interpreted by the children to whom they are directed. Advertising should not stimulate children’s unreasonable expectations about product quality or performance. Products and content inappropriate for children should not be advertised directly to them. Advertisers should avoid social stereotyping. This entry was posted in Eugenocide/Population Control, Government experimentation on the public, Pregnancy and birth, Propaganda Room, Vaccine Injection Room and tagged elmo, SESAME ST on May 1, 2017 by Editor. 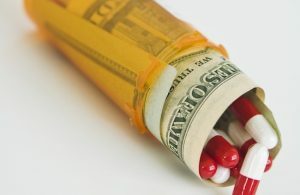 New Report: PATIENT ADVOCACY GROUPS-BIG PHARMA SCAM! A new study shows that nearly all of these patient advocacy groups are captured by the drug industry. David Hilzenrath at the Project on Government Oversight (POGO) reports that at least 39 of 42 patient advocacy groups who participated in discussions with the FDA over agency review processes for prescription drugs received funding from pharmaceutical companies. And at least 15 have representatives of drug or biotechnology companies on their governing boards. The study is particularly notable now because Congress is poised to pass the 21st Century Cures Act, which trades temporary additional funding for the National Institutes of Health and the FDA for permanent weakening of the FDA’s approval process. Over 1,400 lobbyists have been working on this bill, which would be a major financial boon to the drug and medical device industries. This entry was posted in Death By Medicine, Liberty & Freedom Room, Propaganda Room, Psyche Ward, You are being poisoned and tagged BIG PHARMA, Lobbyists on December 2, 2016 by Editor. Before you judge these people, you should know the whole story, not the select tidbits chosen by media, but the whole story. The family had a lot more going for this child’s treatment than “garlic and onions” as this column is quick to point out. And they did a lot more in trying to find out what was going on with Ezekiel than what we are hearing. Ezekiel would improve and then sicken again, but appeared to be improving when he stopped breathing, at which point the parent’s leaped into action. VLA Comment: This is just another way the pharmacuetical/Medical Cabal will frighten all parents… by convicting these amazing loving, caring parents as murderers. The cabal are using, and will continue to use, these type of alternative medical parents as examples so that other parents are frightened into submitting to a system that is getting away with killing children with ineptness, poisoning chemicals, negligence and willful misconduct but are not taken to task as being liable. Sudden Infant Death Sydrome, Shaken Baby Syndrome are examples how innocent parents are imprisoned and persecuted but yet when the medical system fails to save a life..that’s okay! This entry was posted in Articles & Breaking News, Healing & Recovery Room, Liberty & Freedom Room, Propaganda Room and tagged Medical Tyranny, Stephans family on April 27, 2016 by Editor.